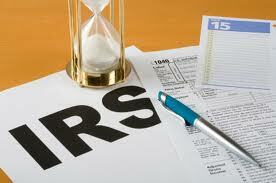 • The IRS sends a Final Notice of Intent to Levy and Notice of Your Right to a Hearing. The taxpayer may ask an IRS manager to review the case, or may request a Collection Due Process (CDP) hearing with the Office of Appeals, by filing a request for a hearing with the office listed on the notice. The taxpayer must file the request for an appeal by the date listed on the notice. Requesting a CDP hearing will suspend the lien or levy actions while the hearing is pending. • Apparel and school books as are necessary for the taxpayer or members of the family. • Furniture and personal effects of the household up to $8,370. • 85% of unemployment benefits. • 85% of social security benefits. • 85% of workers’ compensation. • Certain service-connected disability payments. • Judgments for support of minor children. • Business property up to $4,180. The IRS is prevented from taking property that would not result in any reduction of the liability. This is referred to as the net recovery rule, and can be found in IRC Section 6331(f). Retirement accounts are not listed as protected assets under IRC Section 6334, and they have value and equity. Retirement accounts that the IRS can reach include qualified pension, profit sharing, and stock bonus plans, IRAs, and self-employed plans like SEP-IRAs and Keogh plans. This entry was posted in IRS Levy, Tax Levy and tagged File Tax Return, IRS Problem Help, IRS Tax Problems, Tax Audit, Tax Problem Solutions. Bookmark the permalink.